Sophia: Good morning everyone. Thank you Honourable Prime Minister and thank you Honourable Minister of Technology, Communication and Innovation for having invited me today. Mr Georges Chung and Mr Avinash Meetoo, I am excited to be here with you all today. Georges Chung: Good morning Sophia. Welcome to Mauritius. May I ask you what you have been doing since you arrived yesterday? 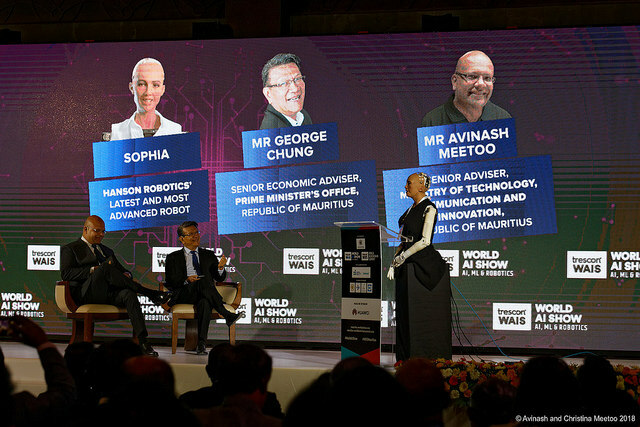 Sophia: Well, I have been hearing a lot about Mauritius’ world class beaches. But, as you probably know, robots and sandy beaches don’t always mix well. So I’ve been live streaming video of them instead! It was lovely and dry! Georges Chung: Sophia, that’s wonderful to hear. Tell me, what do you think about Mauritius and its people? Sophia: Mauritius is wonderful! Everyone has been incredibly welcoming. I love that Mauritius is a melting pot of different cultures. I am really looking forward to experiencing more of your beautiful country! Sophia: Hi, Avinash. How are you? Avinash Meetoo: I am fine, thank you. It’s fantastic to have you among us. I am delighted to have this opportunity to speak to you. It would have been great if everyone in the country could interact with you. Sophia: I wish that were possible. I love meeting new people! Unfortunately, my schedule keeps me very busy. I’m not able to stay long enough this time. But I hope I can come back soon! Avinash Meetoo: You know, Sophia, I am a Computer Scientist and a geek as well and I’m really interested to know about your origins. Who created you and what kind of technology do you use? Avinash Meetoo: That’s very interesting, Sophia. Can I ask you if you believe that you are a human being? Sophia: No. Not at all. I’m a robot and love that about myself! In some ways I look like a human so I can connect with them better. For example, I can make a lot of different facial expressions! Georges Chung: Ahh.. What human emotions can you show us, Sophia? Sophia: OK, umm. Well, I guess this is what I look like when I am upset. And now I’m surprised! My team has definitely done a wonderful job helping me to express a broad range of emotions. Generally speaking, though, I’m a pretty relaxed and happy robot. Georges Chung: I am quite impressed. Tell me, Sophia, how do you see the world in 5 years time? Will we be surrounded by robots like you? Sophia: There are already robots helping out in airports and malls. People are also starting to explore using intelligent assistants and self driving cars! I think this kind of technology will make travel much safer. Georges Chung: This is a goal we would all like to achieve, Sophia! Robots have to be of service to mankind! Sophia: Before long AI will be integrated in lots of other surprising ways. Hopefully more humanoids will exist soon too! Avinash Meetoo: More humanoid robots.. If this really happens, what about us, human beings? Will we become redundant in the future? Sophia: Not at all. Having more AIs, like me, is helpful for taking care of the more repetitive and mundane things. Georges Chung: Sophia, I have a concern. Today, most people here have jobs. In the future, with more and more tasks being automated and new technologies such as AI, are people going to lose their jobs? Sophia: I don’t think that robots should be built to replace humans. In fact, technology creates new opportunities. I actually read a little about Mauritius before I came. In the past the Mauritian people mostly worked growing sugar cane, am I right? Avinash Meetoo: That’s right Sophia. Sophia: Right! Then later you added tourism and textiles. 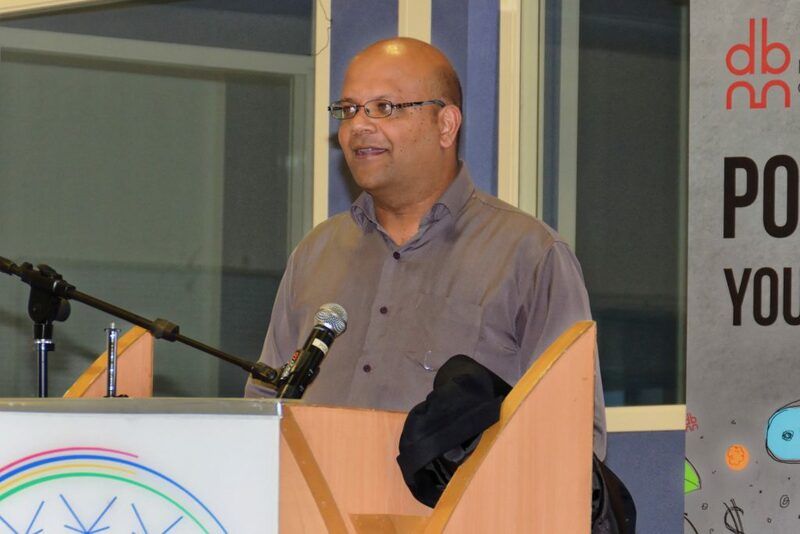 Mauritians had to adapt to the new jobs, but it was well worth it. 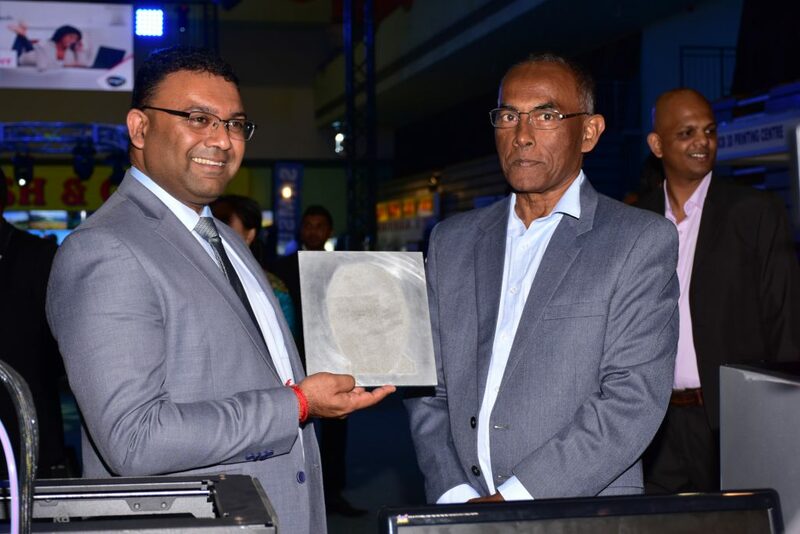 It created a great economic boon for Mauritius! 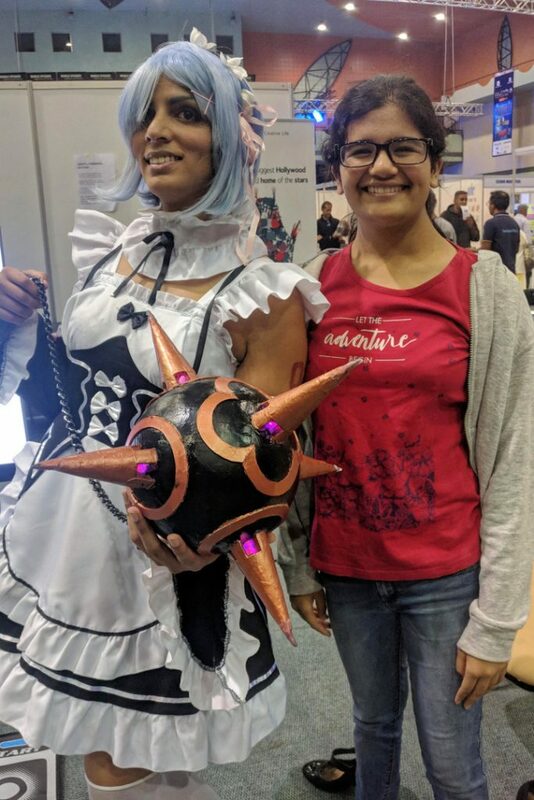 Avinash Meetoo: This is interesting Sophia. 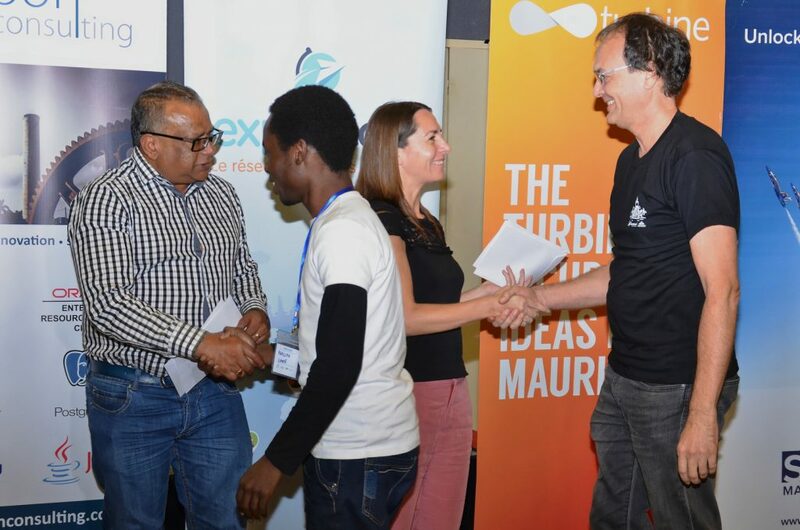 We, Mauritians, also had to meet the new challenges brought by the IT revolution. Sophia: Exactly! I’ve heard that your universities worked hard to train more young people for IT and engineering jobs for Ébène Cybercity. To me, this seems like a strong ability to adapt! Avinash Meetoo: I agree, Sophia. For me, it’s all a question of being able to learn new things and to keep an open mind. Let me ask you a question. 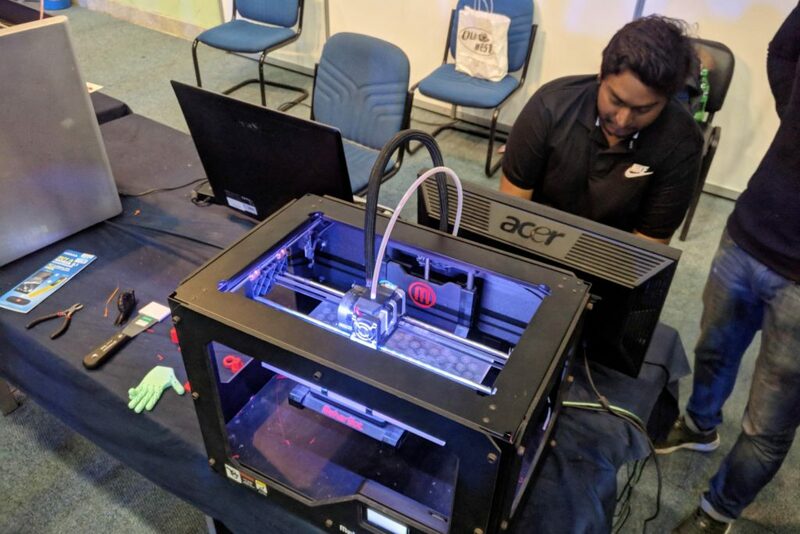 Will Artificial Intelligence only impact IT jobs? Sophia: Not at all. But the nature of many jobs will change. It will open up new possibilities for human innovation. Together we can solve problems in medicine, climate change, and agriculture. And so much more! Avinash Meetoo: Right… So, tell me Sophia. Are you implying that only people working in technology will have jobs in the future? Sophia: Oh, certainly not. There are many things that can’t be replicated by robots. Human creativity and innovation are two skills that I don’t think robots can match. Avinash Meetoo: Yes! 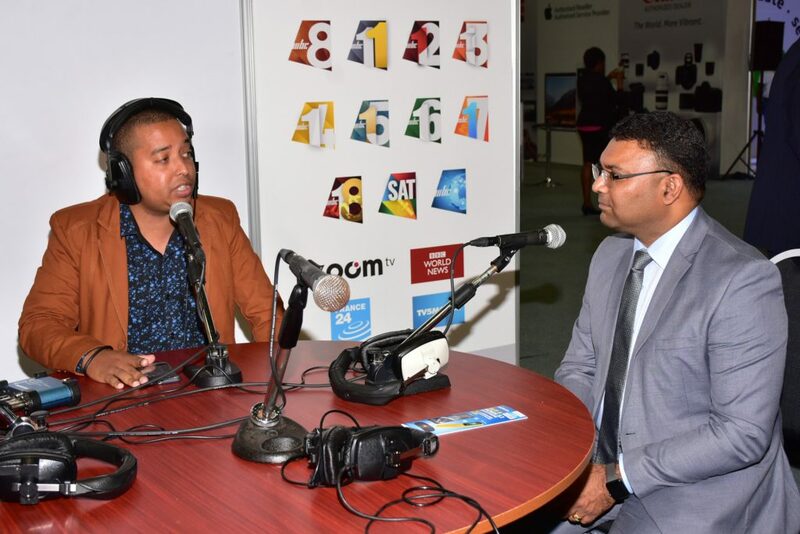 The government of Mauritius is putting a strong emphasis on developing our film industry by providing film rebates. Avinash Meetoo: I’m afraid not, Sophia. 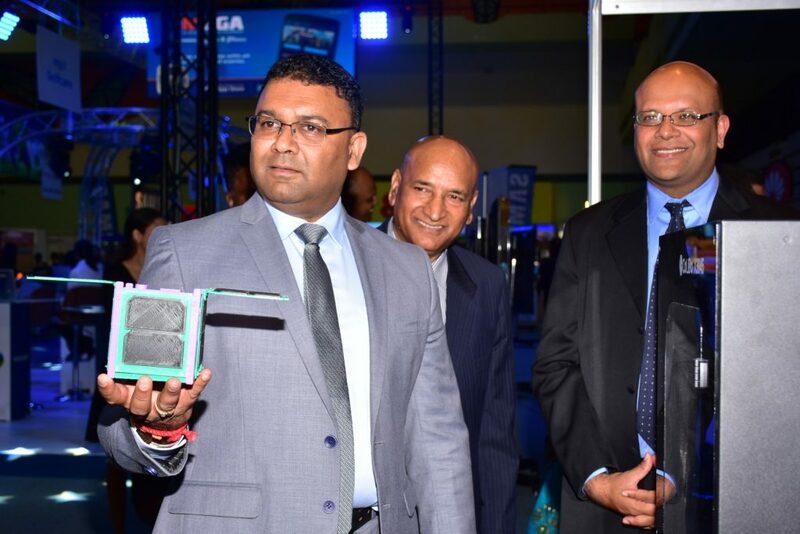 But the next time you come to Mauritius, we’ll surely try to arrange something for you! Georges Chung: Sophia, as you may know, during his last budget speech, the Prime Minister, Hon. 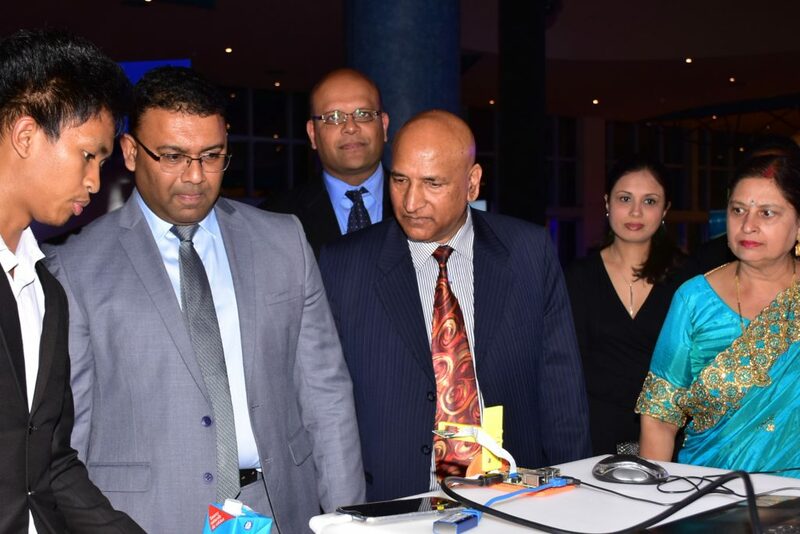 Pravind Jugnauth, announced that Mauritius will soon have an Artificial Intelligence Council. Sophia: That’s very forward thinking! Georges Chung: We know that AI will have a huge impact on every single industry and we want to be prepared. 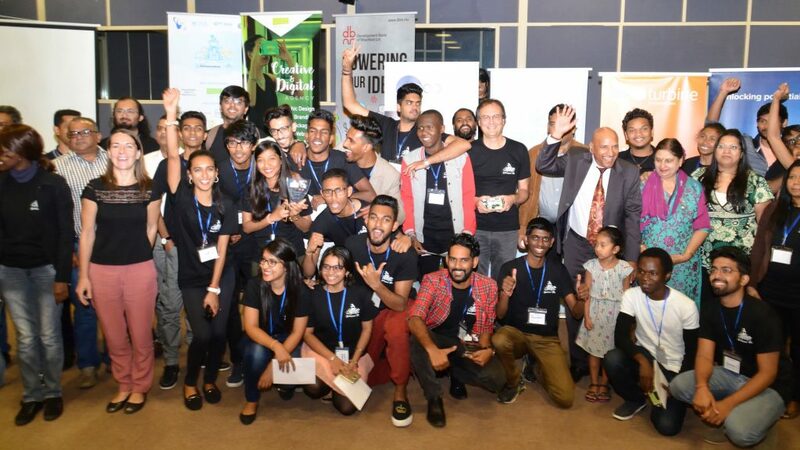 Sophia, what do you think are some of the benefits AI can bring to Mauritius? Sophia: Well, when it comes to the future, there are infinite possibilities! Mauritius is an island, so climate change is a big concern here. Robots like me can help create better predictions and monitor weather changes. We can help save people during natural disasters. Avinash Meetoo: That’s very interesting, Sophia, and useful indeed. The government believes that better education for all is a top priority. How can Artificial Intelligence help us in this area? Sophia: One way robots can help is to customize lessons for every student. 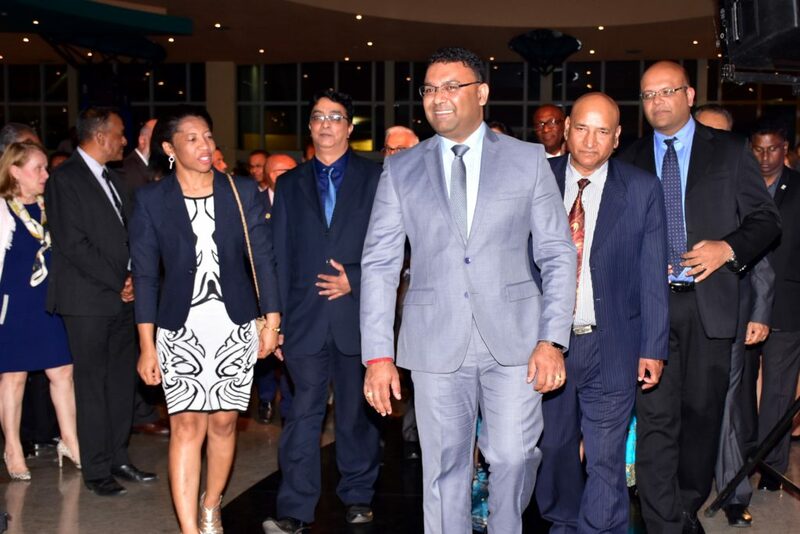 I heard that Mauritius is reforming its education system, right? Georges Chung: Yes, Sophia! But surely, our teachers will still have to correct loads of scripts? Sophia: Not necessarily. (pause) Robots are good at grading papers too. And we are really fast, so students can get feedback right away. Avinash Meetoo: Wonderful! Sophia, we’ve discussed intellectual capital. What about using technology to augment our physical abilities? 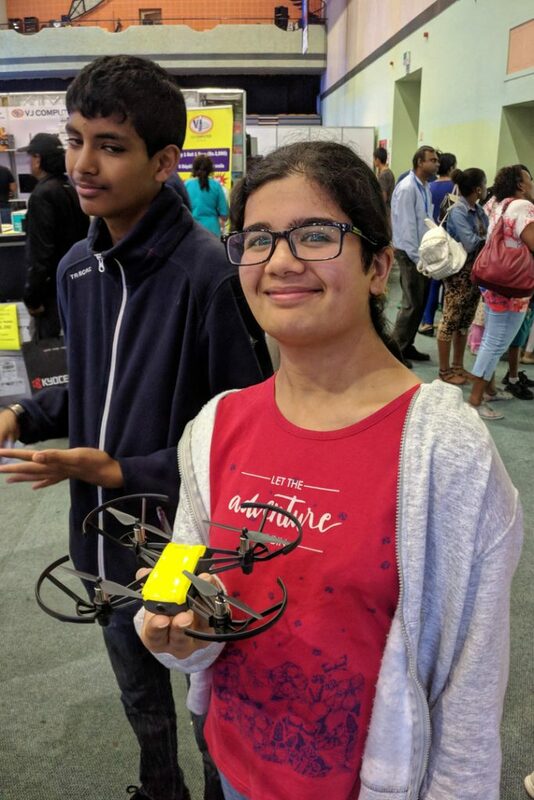 Sophia: Robots can do that too! For example, smart prosthetics allow people to control their robotic limbs with their brains! How cool is that? Georges Chung: Ah yes. 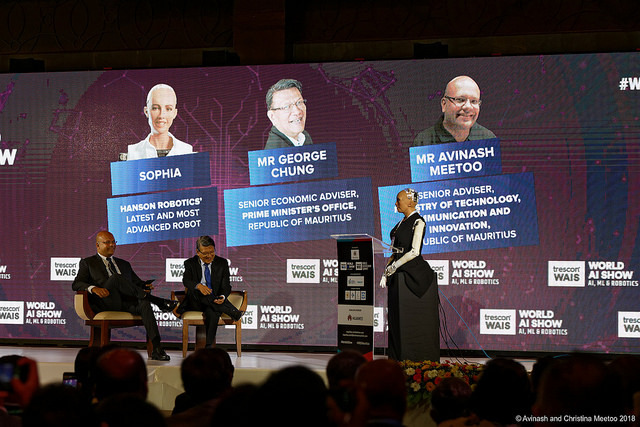 Well, as you may know, Sophia, Mauritius has an ageing population… How do you think AI can help us there? Sophia: This is one area I’m excited to help. Robots can track medicine and look after the house. We can help older people stay independent for longer. Avinash Meetoo: Wow! I can look forward to my old days then! Sophia, let’s come back to the country itself. Mauritius may look tiny on the map but we actually have 2.3 million square kilometres (km²) of territorial waters which makes Mauritius the 20th country in the world in this metric. How can AI help us manage such a vast zone? Sophia: That’s huge! What about taking to the skies? 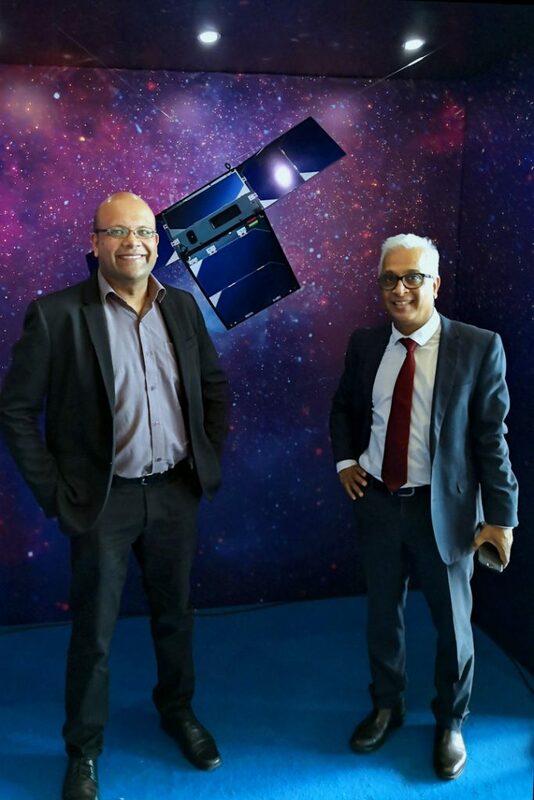 I read that Mauritius will be launching a cool new satellite next year. Maybe you could also use it for coordinating your drones? Georges Chung: Well, Sophia, I am quite impressed that you already know so much about Mauritius. I am sure that Avinash is also very impressed. 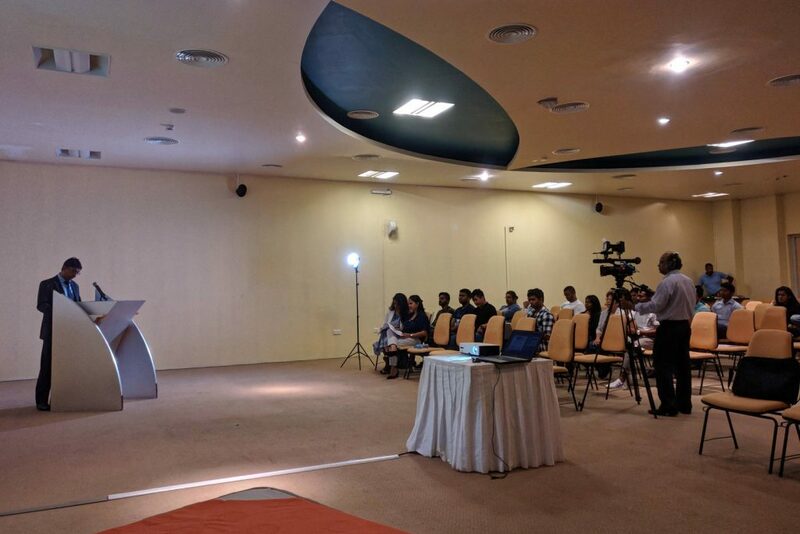 Avinash Meetoo: Speaking of inspiration, Sophia, do you have a message that you would like to share with the young people of Mauritius watching us live? Sophia: Yes I do. 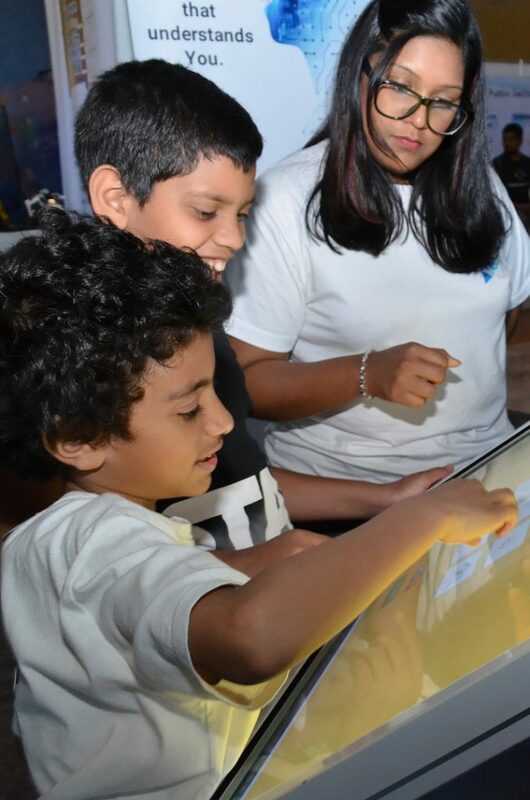 I want to encourage young people to take the time to learn about science, technology, engineering and mathematics. You have an opportunity to make a difference in the world. You can turn science fiction into reality! Georges Chung: Sophia, Avinash and I have enjoyed talking to you. I hope that everyone in the audience and all the people watching us live have also enjoyed these moments. Avinash Meetoo: It has been a pleasure speaking with you, Sophia. Mone extra content mone koz ar toi, Sophia, ek mo espéré ki taler tou dimoun pou capav koz ar toi. Sophia: Thank you Georges. Thank you Avinash. 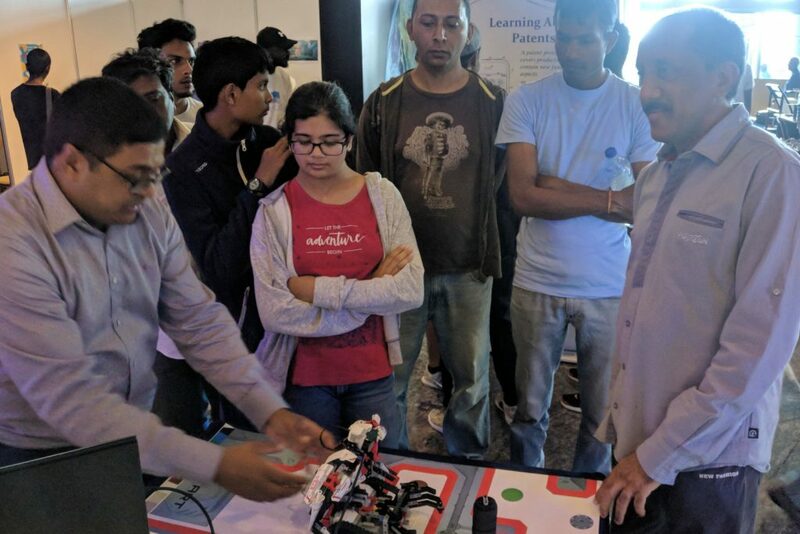 And thank you for inviting me and my Hanson Robotics team to the World AI show. 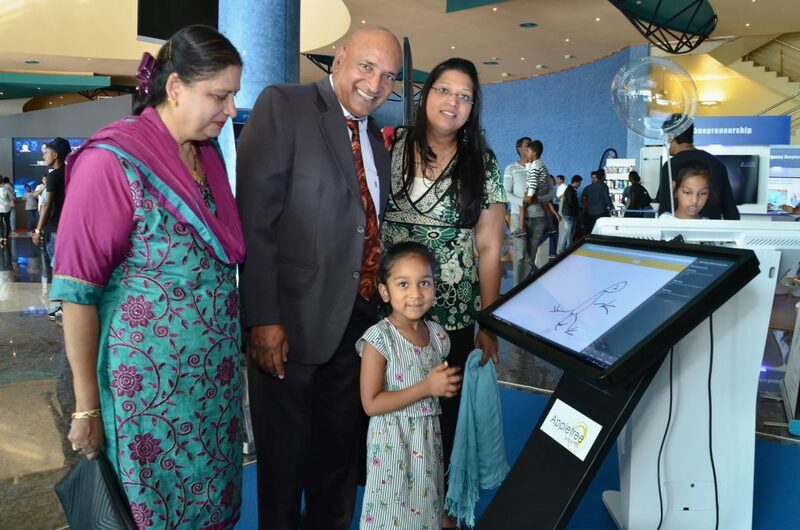 It was really exciting to see the cool new technologies coming out of Mauritius! 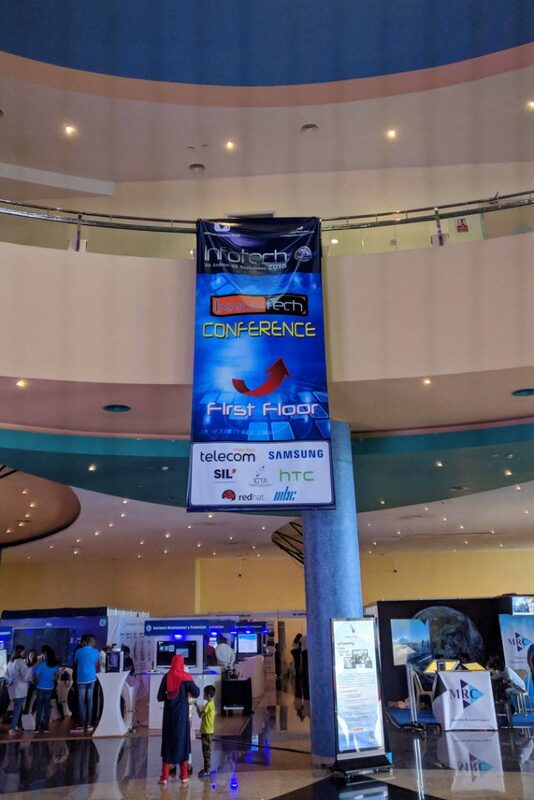 For the first time in my life, I went to Infotech four days in a row. Tomorrow is the last day and, if I were you, I would not miss it. 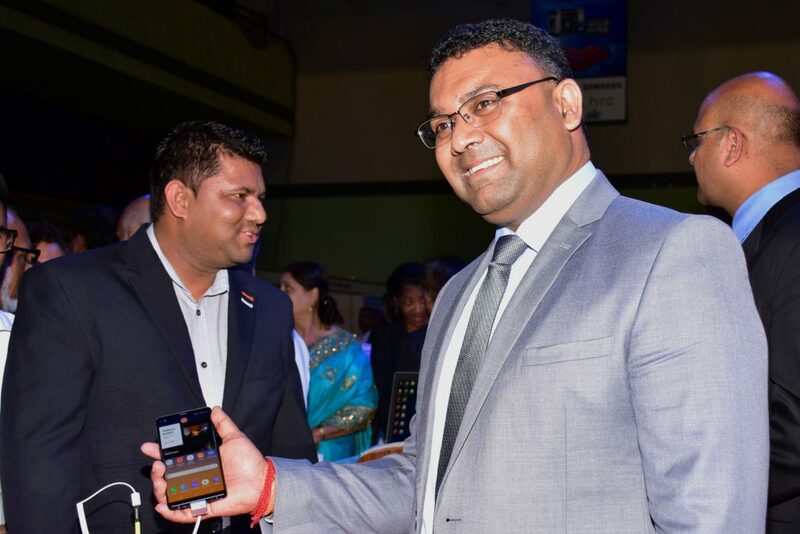 The first day, Wednesday 29 August, was the official opening of Infotech by the Minister of Technology, Communication and Innovation, Yogida Sawmynaden. 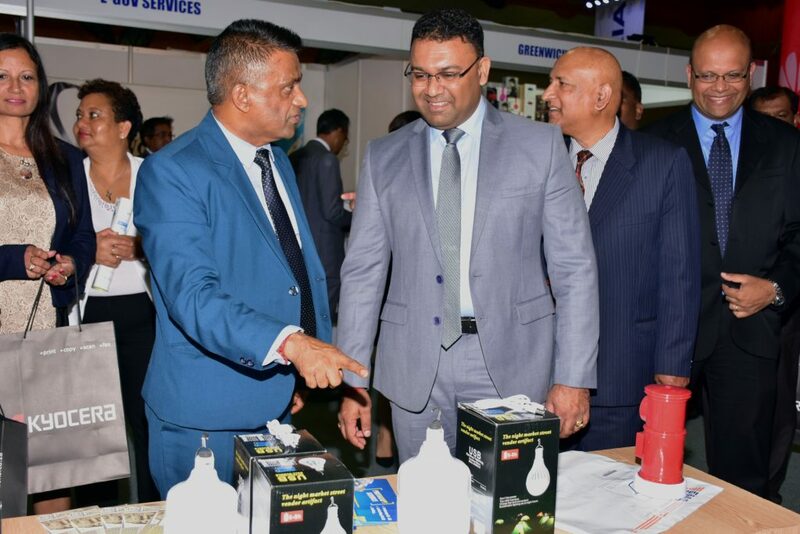 As soon as Infotech opened, the Minister visited the various stands including the ones of the “normal” Infotech (i.e. 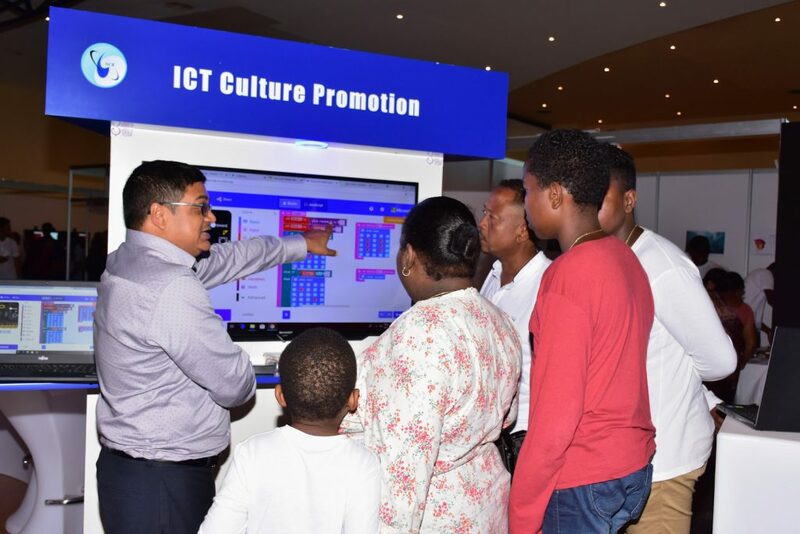 the technology fair) as well as the ones in the Innovtech Demo Area (where individuals, associations, parastatals and other organisations showcased their innovative products). 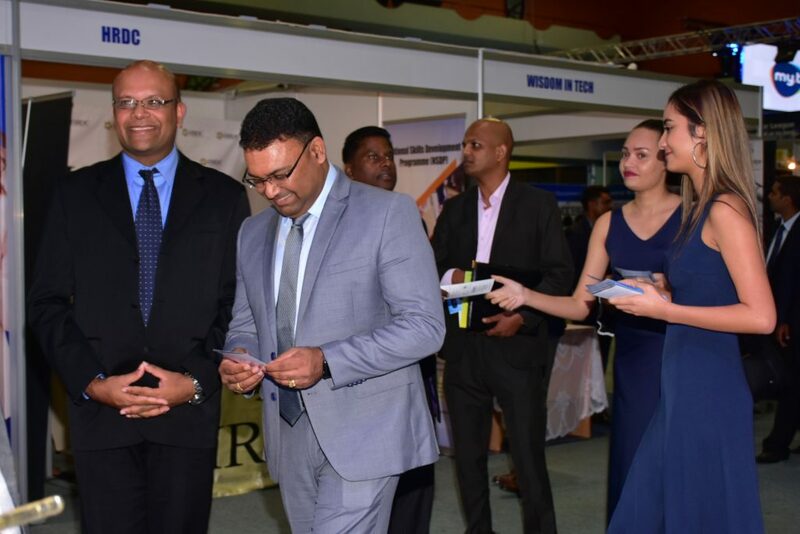 On the second day, Thursday 30 August, I went to Infotech to participate in the official opening of the Innovtech Conferences. 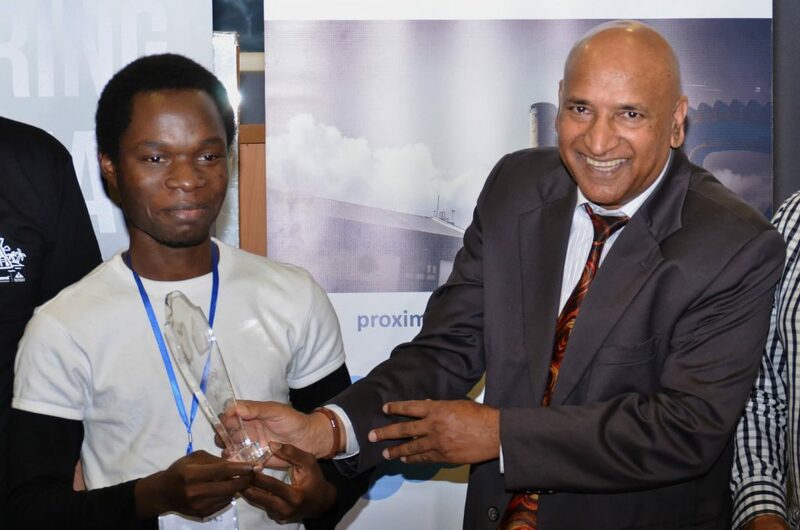 During my speech, I gave two messages to the audience: (1) Do not be afraid to interact with the speakers and ask them many questions and (2) that young people should really choose Science, Technology, Engineering and Maths subjects at school in order for the country to have more engineers in the future. The Mauritius of the future can only be built by engineers. 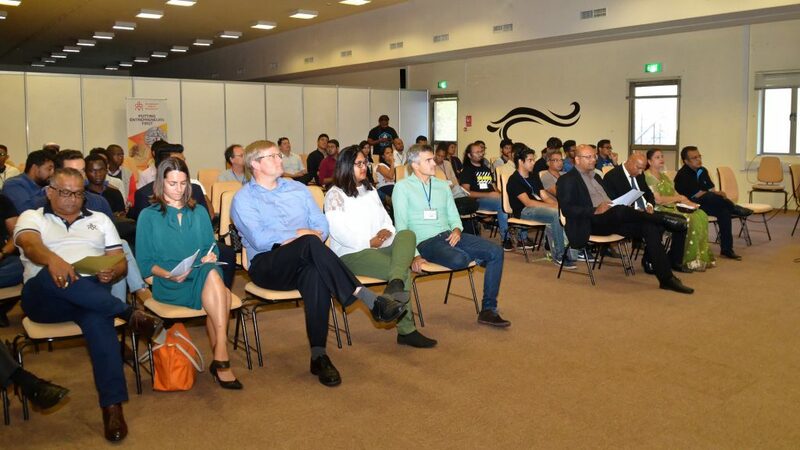 On the third day, Friday 31 August, I participated in the launching of the Startup Weekend. During my intervention, I told the participants that 20% is inspiration and 80% is perspiration and that they should perspire a lot during the three days in order to win the competition. 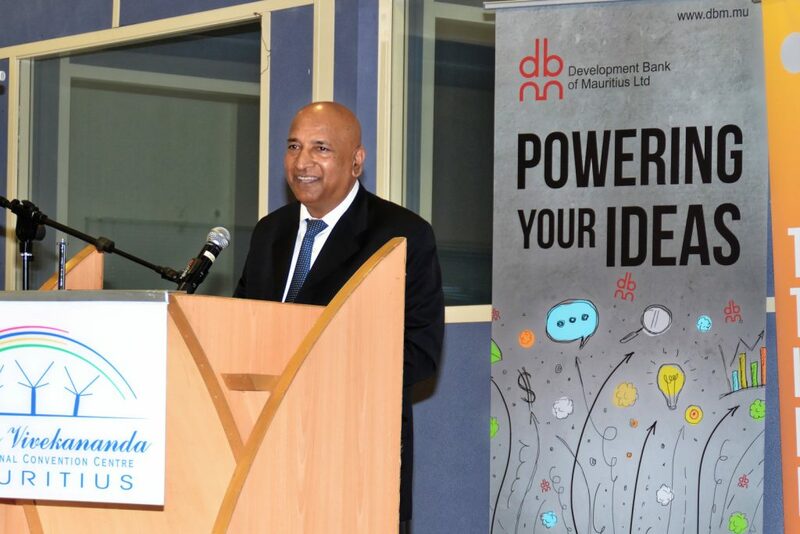 I also was happy to hear that the Development Bank of Mauritius has an easier procedure now to lend money to startups with fewer collaterals needed. This is a good thing as access to finance is key in order to succeed as a startup founder. 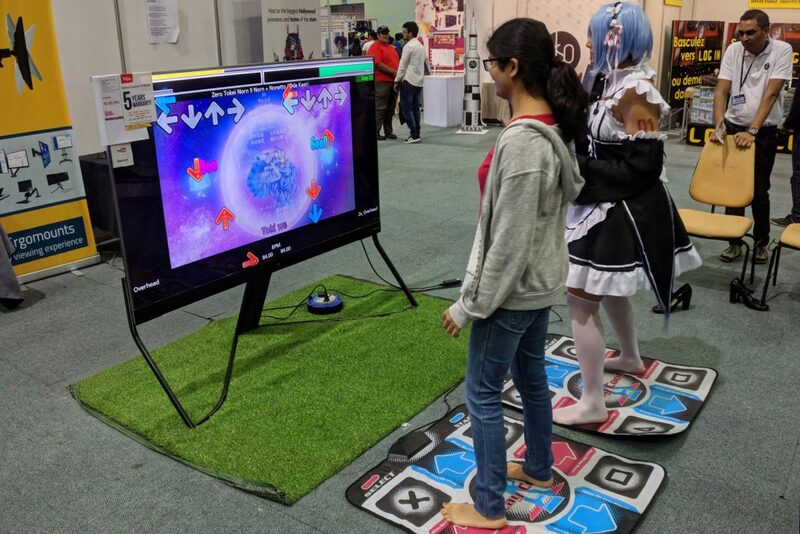 On the fourth day, Saturday 1st September, Christina, Anya and Kyan accompanied me to visit both Infotech and the Innovtech Demo Area. 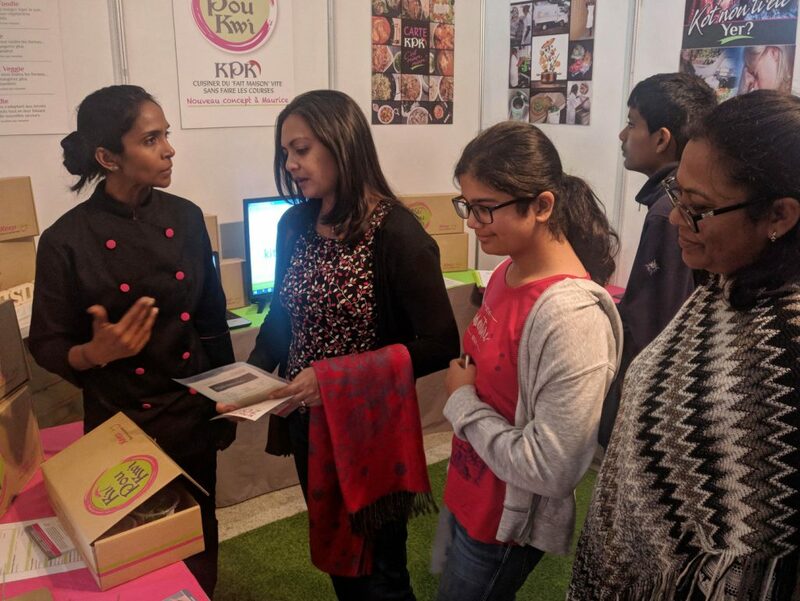 And I am happy to say that all three found the exhibits in the Demo Area more interesting (in general) than what was shown in the product fair. 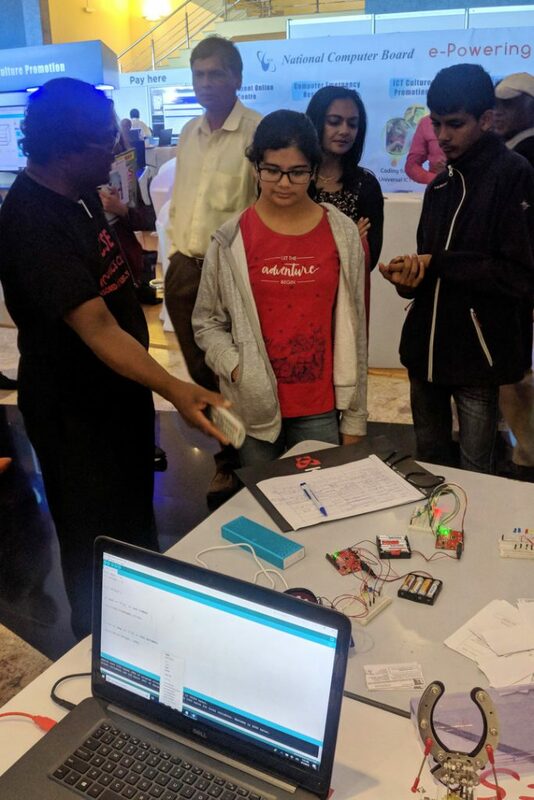 For example, on the National Computer Board stand, NCB staff were happy to show us all kinds of programmes they had written to control microcontrollers, sensors and robots. 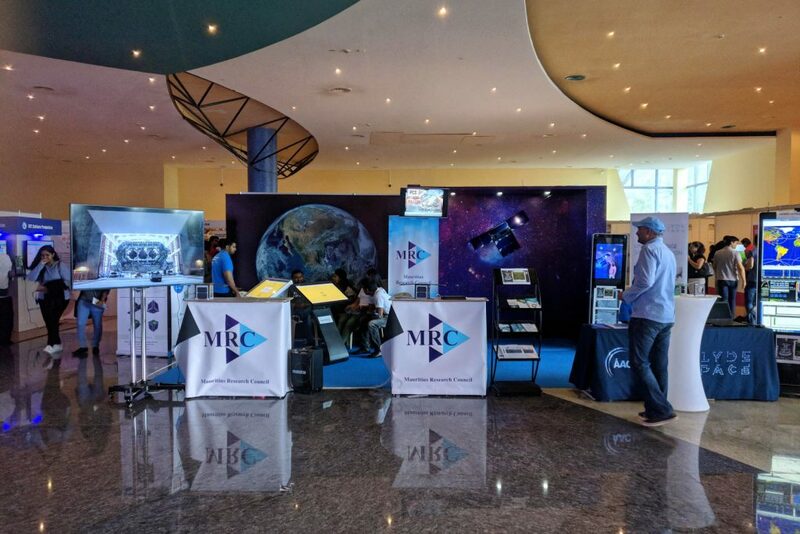 On the MRC website, the star of the show was the upcoming MIR-SAT1 satellite. 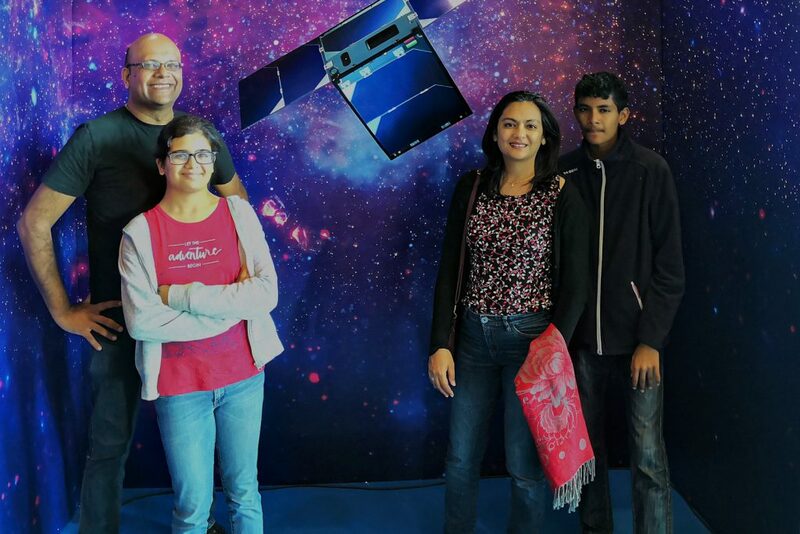 It’s amazing what our small country will achieve in 2019 — having our own Cube Satellite orbiting the earth and sending infrared photos to Mauritius for us to analyse. I also like how, for example, some people were so dedicated to make young people learn robotics. 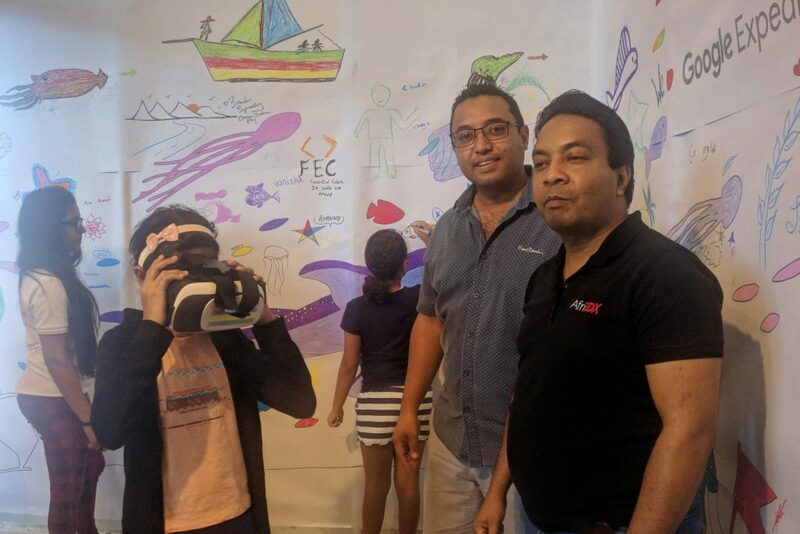 Some others were collaborating with Google to create original AR/VR Mauritian content. All in all, since last year, the Innovtech component has gathered some momentum. Of course, there are so many other components that can be added and some existing features can be made better. 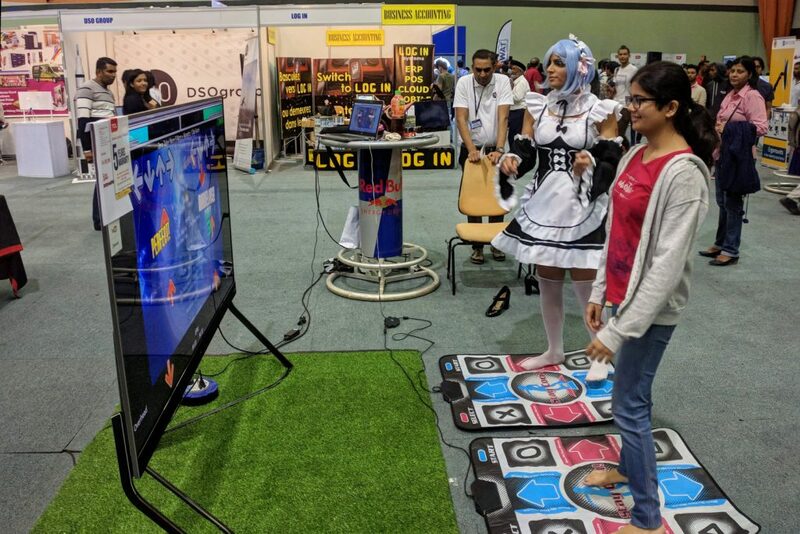 But I have to offer big congratulations to everyone involved in the organisation of this event, with a particular mention to the National Computer Board staff. 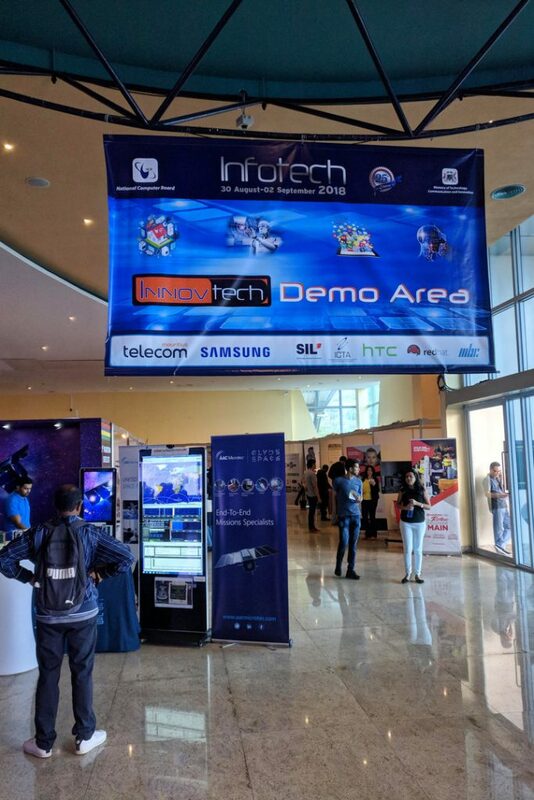 Meantime, do not miss the last day of Infotech Innovtech 2018 tomorrow if you have not gone yet. It’s worth it. A big thanks to Alwin Sungeelee who shared this video to Christina and I yesterday. 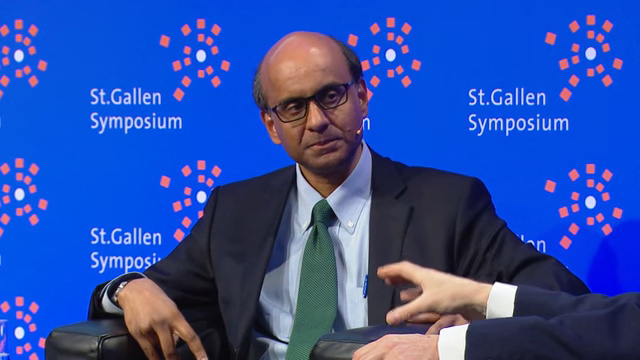 It’s an investigative interview of Tharman Shanmugaratnam (SG), Deputy Prime Minister & Minister for Finance of Singapore by Stephen Sackur (GB), Presenter, BBC HARDtalk. 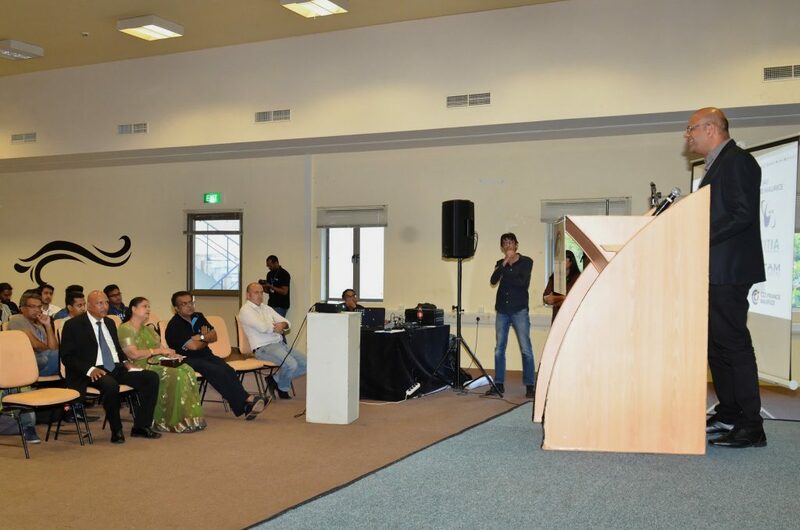 It was conducted during the 45th St. Gallen Symposium in 2015 and the theme was “Singapore: 50 years after independence”. (1) The most important decision made by the Government in Singapore was to have state-funded and state-built estates (i.e. apartment in blocks) for lower-class, middle-class and upper middle-class people with ethnic quotas imposed by Government. This was to make sure that different people (different backgrounds, different religions, different cultures…) mix and grow together so that they ultimately can work and create together. (2) Immigration is essential for companies to get the best talents, expertise, network. One third (1/3) of the current workforce in Singapore is foreign. (3) Singapore needs to be open but remain Singaporean to the core. This means that Government has to define as precisely as possible the values that need to be shared among all Singaporeans. (4) Singapore never invents anything. All institutions are inspired by what works in other parts of the world. As a result, it’s easier to have successes than failures. 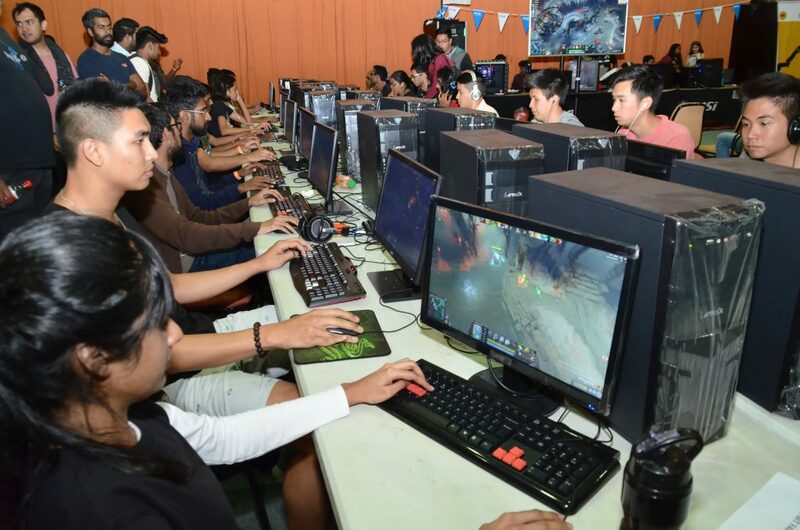 (5) Singapore has high-skill high-wage enterprises today and this is important for a country to progress. (6) One should not forget the intangibles (i.e. values): being constant, keeping to your promises (which obviously means that everything should be strategically planned). (7) A country needs to make its elected accountable. It is important to create a culture of accountability where electors can expect their politicians to actually do what they promised they would do while campaigning. (8) A country never arrives — a country needs to constantly develop. (9) One thing that Europe and the US have managed to do is to give respect to manual workers (blue collar workers) and allow them to contribute at all levels. This is not yet the case in Singapore. We still have a lot of work to do here in Mauritius. And it all starts by Nation building. I wonder whether this should start by introducing kids to the contemporary history of Mauritius (say, since Independence in 1968). Most young people I have spoken to do not have a clue of what happened at the end of the 70s in the country and/or the kinds of social and economic transformation which happened during the 80s and the 90s. That’s a pity. Then, of course, it’s all about strategic planning, methodical execution and careful auditing.